Blizzard's latest is keeping humor alive. Blizzard struck gold with Overwatch, a bonafide worldwide phenomenon. The beloved game has developed a passionate fan base and inspired countless LOLs. At it’s most basic core, Overwatch is a six vs. six battle that pits two teams of players against each other with a vast array of playable heroes to choose from. There’s a diverse cast of characters with varying abilities, designed to counter other specific heroes from the game’s roster. But once you dive into Overwatch’s world for a few dozen games, you’ll start to pick up on the smaller competitive elements which really make the game tick. As you might expect, not every player tends to learn or adhere to these subtle elements, however, opting to stick with a specific hero despite them not serving the team’s best interest or endlessly trolling other players with emotes for a few laughs. Thanks to Blizzard’s humorous appetite and Overwatch’s dedicated community, the memes instantly took off following launch — remaining a strong part of the game’s overall appeal to this day. Below is a collection of Overwatch’s best memes from across the net, although we couldn’t possibly include them all. So select your hero, charge your ultimate, and prepare for a payload full of laughs. Let’s kick things off with McCree. 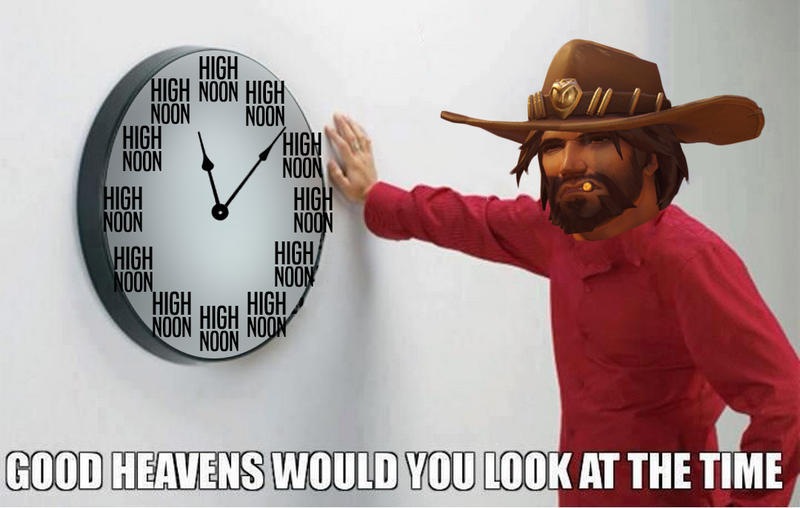 Because when he’s in town, it’s always high noon. But at least Deadeye required more than a single mouse click to pull off. And Jon Snow’s still the Play of the Game cameo champion. Thankfully, Kit never used a Nano Boost on the wrong player. Or was killed by an arrow from Hanzo like the rest of us. But we’re sure he would wonder how Reaper reloads. Maybe he hides them behind people’s ears? Or could it have something to do with his deathly obsession? Which, to be honest, every Overwatch player has deep inside of them. Until they make a selfless sacrifice for their team. Because teamwork is what makes victory in Overwatch assured. Unless you’re the player suggesting your team should coordinate. 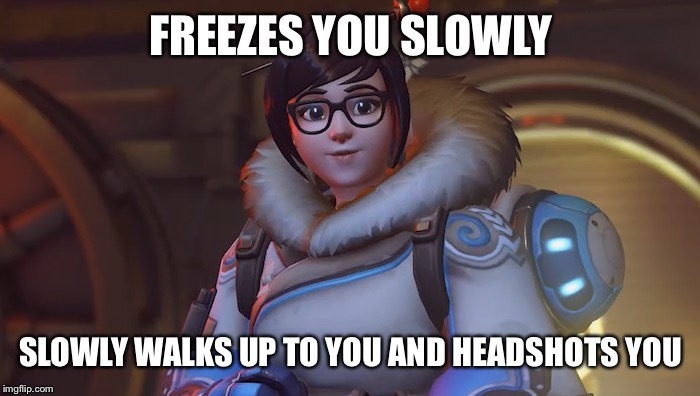 In which case, you’re probably better off playing Mei. Or Support, because it’s a safe bet nobody else will keep you alive. Especially if they maim Hanzo or Genji. But as Support, you can determine who lives or dies. Which, you’ll occasionally be rewarded for with help from your team. While getting the satisfaction of shutting down enemy ultimate abilities. Or being shut down by ultimate abilities yourself.